Options and packages don't exactly bode well for a rapidly moving production line. Now that Elon Musk is pulling off a similar feat as Ford by attempting to drastically scale up production of the world’s most desirable and affordable electric car to an optimistic 500,000 units per year, a chart posted to the Tesla Model 3 Owners Club forum seems to confirm that Musk will pull a similar move as Ford by offering the Model 3 with few customization options. After all, less options means less design and manufacturing time, less time spent tooling the factory to install each of these options, less chance of things going wrong and in turn, fewer costly holdups on the production line. But how many options will Musk strike from the list? According a comparison chart between the Model 3 and Model S posted on the fan site, quite a lot. In total, the Model 3 will have less than 100 configurations, which might sound like a lot but is actually quite slim—the modern day equivalent of selling a car in only black. By comparison, the Tesla Model S has over 1,500 configurations, making it the better choice for anyone who wants the full tailored Tesla experience. And for Tesla, that’s kind of the point. Though the Model 3 is a hugely important car for the young automaker, Tesla doesn’t want customers who can afford a Model S to dip lower in the hierarchy. The Model 3 is intended as a helping hand to allow those on the lower ends of the economic spectrum the ability to get the electric car ownership experience. 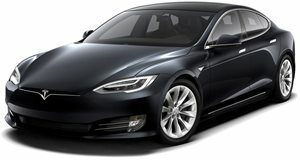 Stricken from the Model 3 is the Model S' 30 cubic feet of trunk space (the Model 3 has a paltry 14), a driver display and the signature long 17-inch touch screen (a 15-inch center touchscreen stands in its place), and extra features like a HEPA filtration system, smart air suspension, a panoramic sunroof, and 21-inch performance wheels. Enough is missing that if Tesla wanted to, it could create a hypothetical “Model S Premium” package for the Model 3 to bring it up to par with its bigger brother, though these imaginative fantasies rarely make it to life thanks to the bean counters. Regardless of Tesla’s efforts to steer customers to the Model S, the Model 3 is all but certain to sell in droves as long as Musk gets it right. No pressure dude.